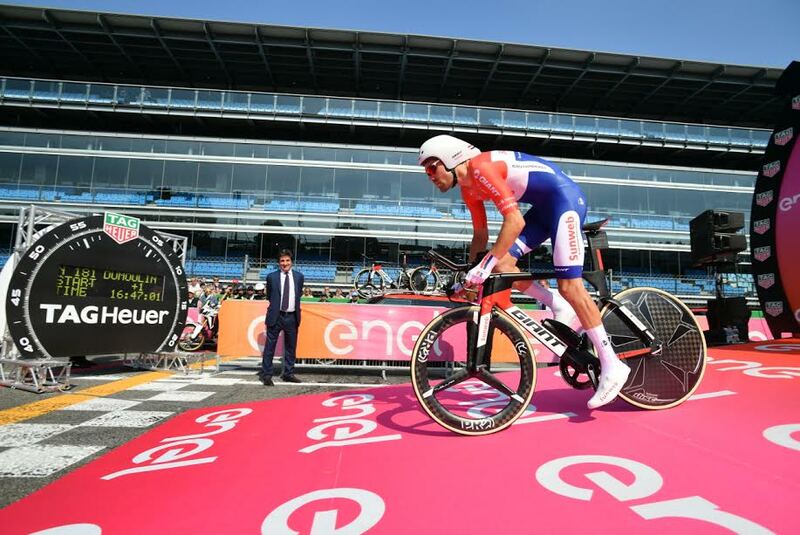 Tom Dumoulin (Sunweb) put in a valiant effort during today’s final 29.3 kilometer time trial stage at the Monza Formula One track in Milan, to finish in second place behind Jos Van Emden (Team LottoNl-Jumbo). 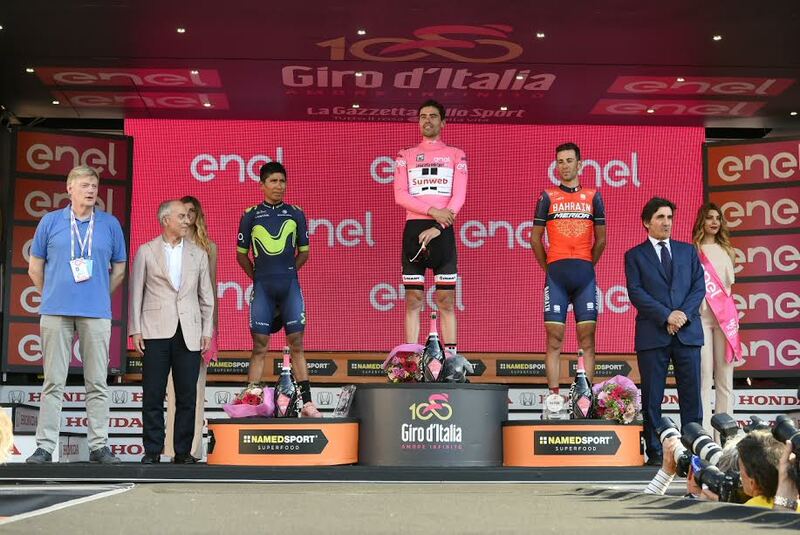 More importantly, Dumoulin’s time of 33:23, was enough to unseat Nairo Quintana (Movistar) by 31 seconds in the overall classification and reclaim his maglia rosa and the overall race title. Meanwhile, Vincenzo Nibali (Bahrain Merida) secured the final spot on the podium after finishing 40 seconds behind Dumoulin in the final classification. Quintana led the overall classification heading into today’s the final stage, but the Colombian rider was only able to muster a 27th place at 1:39 off of the winner, relegating to second spot on the podium. 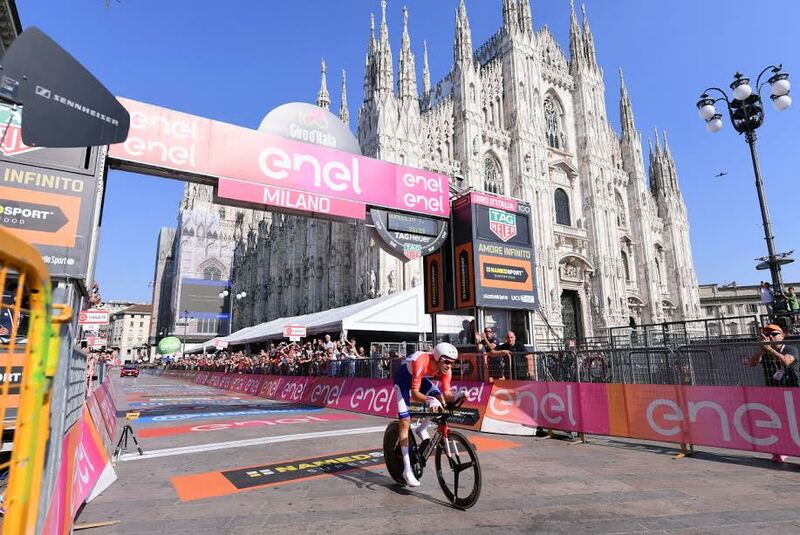 After three weeks of captivating racing it all came down to the final time trial, starting on the F1 circuit in Monza and finishing in shadow of the Duomo in central Milan. 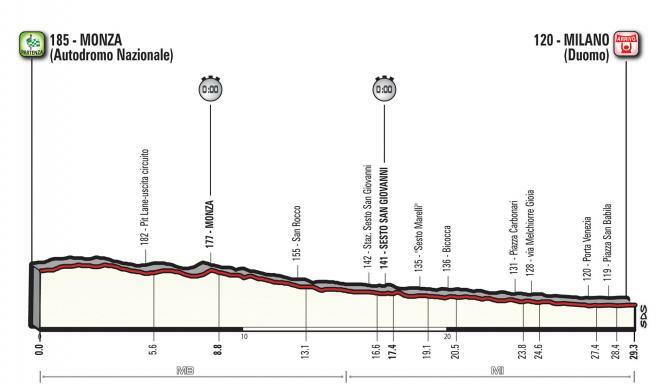 Dumoulin began today’s stage 53 seconds behind Quintana. 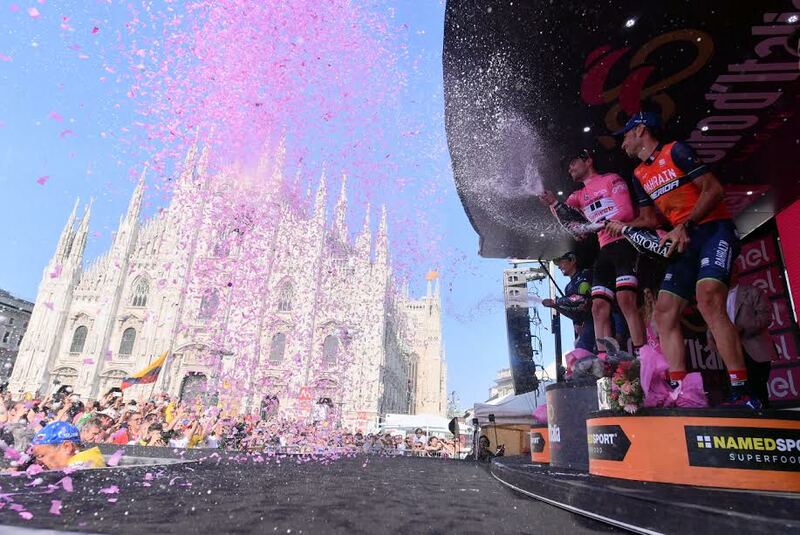 However, he was widely expected to dominate his GC rivals in a short, flat “race against the clock”, thus becoming the first Dutch rider to win the Giro d’Italia. 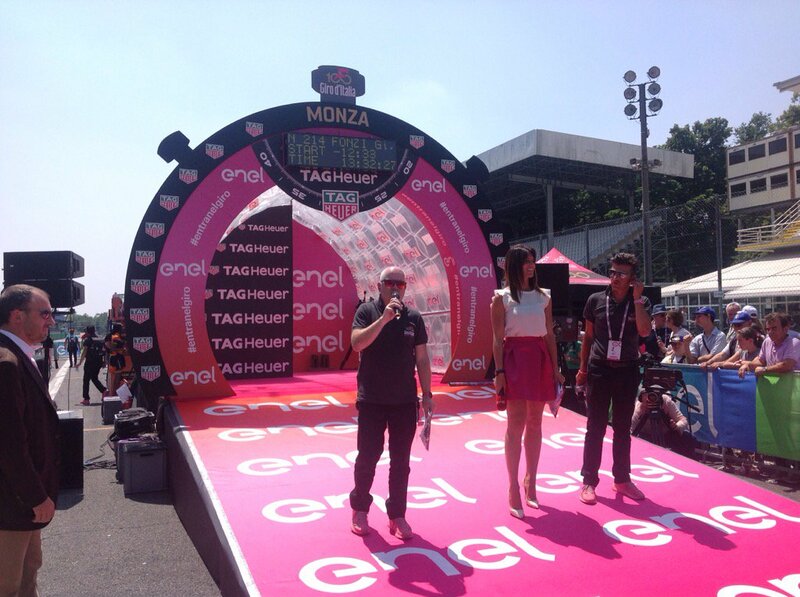 After the stage, Dumoulin said, “it’s really crazy, I cannot describe it with words. It was such a nerve-racking day but I did it, I had good legs. “I spoke to my sports director, and he said only if we’re sure I’ll tell you not to take risks in the corners. He said it at halfway already. I was like, this is early to say something like that.